­­­­Among the top mortality causes in the world, cancer takes the first place. If we told you there is a natural and safe herb that can improve and possibly reduce almost every kind of cancer, would you believe us? Dr. William LaValley has focused majority of his research on cancer and according to him, the derivative of turmeric, curcumin, together with the pigment which gives the orange-yellow color to the curry spice, might be the thing we’re looking for. It can help us all in our effort to get healthier. This natural product has been researched to all possible extents and research found that it has multiple applications in helping us getting healthier during and after cancer treatment and when seeking relief from many diseases. He got his first experience with traditional acupuncture and Chinese medicine ancient practices in 1982 when he took part in an exchange program with People’s Republic of China. “One of the important messages that I learned there was that natural products, natural molecules, from plants and animals that are already available in nature, have been used by the Chinese for at least hundreds, probably thousands of years. That deeply changed my perspective in the world of medicine,” says Dr. LaValley. Having devoted over 30 years of my own career to nutrition and specifically beating cancer with nutrition, I cannot advocate enough the beneficial research that has been done in identifying the biochemical ways nutrition can support our health and help us get healthier. In order to deeply involve himself in the molecular biology science, more concretely the cancer molecular biology, Dr.LaValley took sabbatical for 75% of his time during 2005. He spent between 9000 and 9500 hours of his time building a database which shows relations from the literature on the PubMed related to cancer molecular biology. By understanding molecular biology, you can apply it through the wide range of symptoms and conditions which are documented in scientific literature. One can apply this knowledge by searching PubMed and similar databases and searching for the involvement of significant molecular pathways. These foods can also help fight against cancer. “In learning the molecular biology of cancer pathways, and in learning that what the evidence actually shows for the effect of natural product extracts on various relevant molecular targets in various cancers, we see that there’s actually quite a large amount of evidence that supports using various molecules, natural products, and pharmaceuticals that are already approved and that have been around for a long time to affect anti-cancer activity along that pathway at that target. That’s called molecularly targeted anti-cancer treatment, and it’s widely practiced in oncology today. Curcumin – A ‘Universal’ Cancer Treatment? “I went back to the literature and looked at how I can support the decision-making process and the recommendations that I’m making for treatment from the scientific literature, including literature that goes from the treatment of humans with oral products like pharmaceuticals or natural products. This is where I learned about this molecule called curcumin, all the way down to its use in animals and then its use in test tubes or petri dish… One of the amazing things about curcumin is that this molecule has some profound anti-inflammatory activity and has activity in many molecular targets. Whether the curcumin molecule acts by increasing the activity of its special molecular focus point, or shows a inhibition or decrease in activity, repeated studies have shown that the ultimate result of these actions are very strong anti-cancer actions. To add to this, healthy cells are in no way affected by curcumin, which would suggest that it directly targets only the cancer-affected cells. There is also research which suggests that curcumin works in synergy with some chemotherapy medications, speeding up the process of removing of cancerous cells and we can then focus on getting healthier particularly after cancer and chemotherapy. When faced with cancer or other illness try using the power of your mind to help you get healthier. 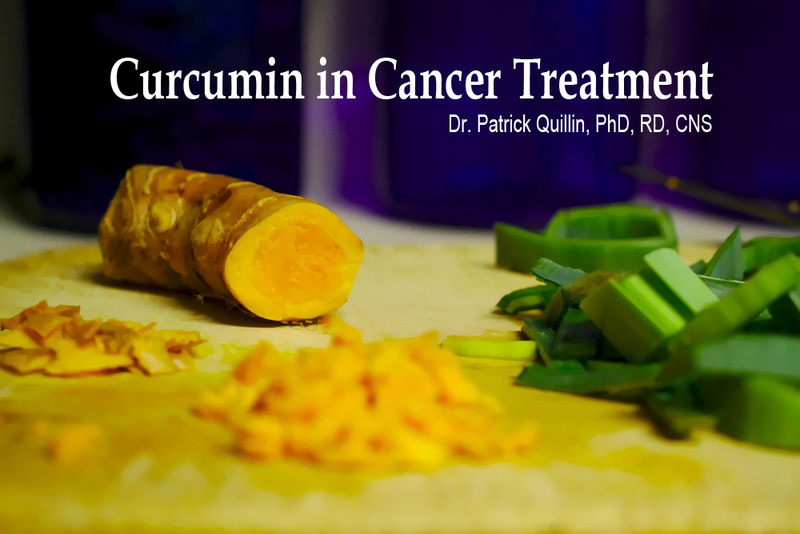 Compared to other nutrients, except maybe vitamin D, the majority of evidence found in literature supports the use of curcumin for fighting cancer. What is also interesting is the fact that other metabolites and derivatives of curcumin also show anti-cancerous properties.